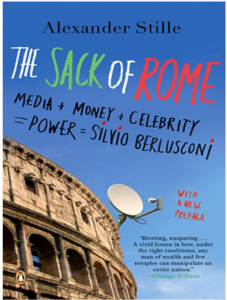 Award-winning author Alexander Stille has been called “One of the best English-language writers on Italy” by the New York Times Book Review, and in The Sack of Rome he sets out to answer the question: What happens when vast wealth, a virtual media monopoly, and acute shamelessness combine in one man? 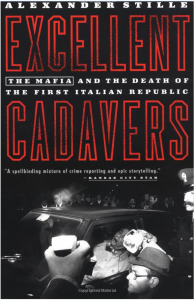 Many are the crimes of Silvio Berlusconi, Stille argues, and, with deft analysis, he weaves them into a single mesmerizing chronicle? An epic saga of rank criminality, cronyism, and self-dealing at the highest levels of power. 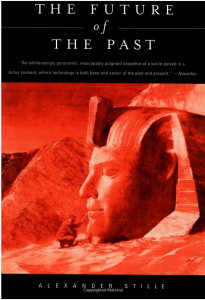 A fascinating tour of the past as it exists today, and of the dangers that threaten it, through incisive portraits of our attempts to maintain it: the high-tech struggles to save the Great Sphinx and the Ganges; the efforts to preserve Latin within the Vatican; the digital glut inside the National Archives, which may have caused more information to be lost than ever before; and an oral culture threatened by a “new” technology: writing itself. Stille explores not simply the past, but our ideas about the past—and how they will have to change if our past is to have a future. “It’s become a familiar lament: Globalization is wreaking enormous cultural loss. Alexander Stille’s illuminating and engrossing new book, The Future of the Past , manages to drain the phrase cultural loss of its easy melancholy and explore instead what it actually means . In chapters set in an array of locales India, Egypt, Madagascar, Somalia, to name a few Mr. Stille makes his domain the cultural crawl spaces where tradition jostles with the latest trends and technologies. His investigations provide a fresh, lively and ultimately wrenching display of a world transforming itself irrevocably,” Jennifer Egan, The New York Observer, April 22, 2002. 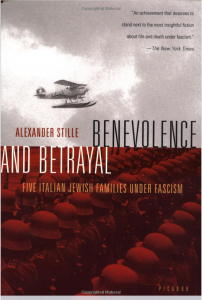 A profoundly moving history of Italy’s Jews under the shadow of the Holocaust, told through the lives of five Jewish Italian families: the Ovazzas of Turin, who prospered under Mussolini and whose patriarch became a prominent fascist; the Foas of Turin, whose children included both an antifascist activist and a Fascist Party member; the Di Verolis of Rome, who struggled for survival in the ghetto; the Teglios of Genoa, one of whom worked with the Catholic church to save hundreds of Jews; and the Schonheits of Ferrara, who were sent to Buchenwald and Ravensbruck. An extraordinary montage that resurrects a forgotten and tragic era.